When it comes to a revolutionary technology like blockchain technology, it’s hard to tell what exactly will change first, and where. The truth is that there are so many sectors that blockchain could disrupt or alter, in so many different ways. Here, we take a look at some of the different ways that blockchain can disrupt the travel industry. First and foremost, we know that the blockchain is a more secure way of handling data. This is important for many different reasons. 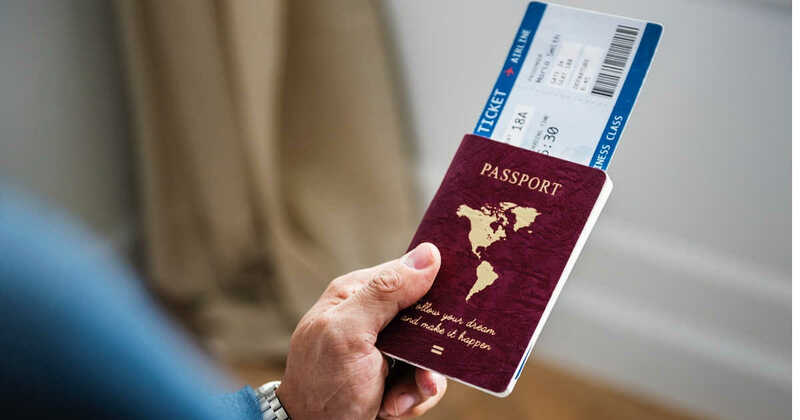 First, it means that the safety of travel data is more secure – which could certainly prove essential in a military capacity, for example, to prevent against something terrible such as a terrorist attack. Secondly, this also means that companies can be optimized more with regards to travel data. We all know that travel can be difficult and inconvenient, in the sense that flights get delayed or hotel reservations get lost. However, if this data was stored on the blockchain, this could mean that the data is now stored and updated more efficiently than ever. If blockchain can help provide more real-time availability with regards to room and flights, this saves consumers time and money, and helps to preserve brand reputation and bottom lines. There is more concern than ever about the right to privacy, and encryption could certainly prove to help in terms of travel records truly remaining safe. It’s already documented how blockchain is changing the payments industry, with the fact that cryptocurrencies allow for quicker and cheaper transactions among individuals and businesses. Thanks to companies such as Ripple, payments can be enacted in real-time. This is incredible for those who might have to deal with traditional financial institutions. For example, if there is an emergency, and you have to ask a friend or family member for a wire transfer – this could end up taking days, while blockchain technology might enable that payment to occur much quicker. This also means that you don’t have to constantly change fiat currency into local currency. With blockchain technology, if you find businesses that accept cryptocurrency, you can use cryptocurrency. Otherwise, you might be withdrawing large amounts of money, and constantly having to exchange money at the whim of exchange rates in different countries. This could also mean safer travels, considering that you do not have to physically carry physical money, traveler’s checks, or other kinds of fiat currency on your person. Ultimately, this could help from you becoming a target, and could provide you a new peace of mind. There has been much discussion about the fact that blockchain can help business track items, products, and inventory, which is great for logistics. Guess what else it’s great for? You guessed it – luggage. If you have traveled extensively, chances are that you’ve had at least one issue with your luggage getting lost or misplaced, and blockchain could certainly help in this respect. The fact that data can also be shared in a decentralized manner with regards to luggage can make finding your luggage, should it be misplaced, a much easier ordeal.